Frenchtown is a charming little town on the Delaware River. 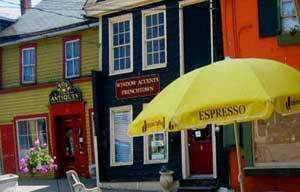 It is a cultural hot-spot with art galleries, locally-owned shops and delicious restaurants. The community pride is quite evident in Frenchtown, which hosts 3 large festivals each year. From Frenchtown, you can hop on the towpath and meander your way along the river.